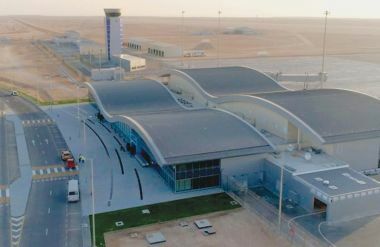 Duqm– Duqm Airport was officially dedicated to the nation on Monday, with officials expressing confidence in its ability to emerge as Oman’s third major full-fledged aviation hub after Muscat and Salalah. 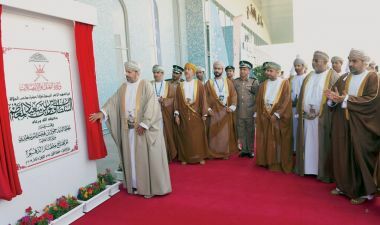 Sayyid Hamoud bin Faisal al Busaidy, Minister of Interior, unveiled the plaque in the airport premises in the presence of ministers and officials. Initially, the airport started operations in the summer of July 2014 from a temporary passenger terminal, which shifted to the newly-completed Passenger Terminal Building (PTB) in September 2018. Speaking on the occasion, Dr Ahmed bin Mohammed al Futaisi, Minister of Transport and Communications (MoTC), said the airport will be the main engine of economic growth of Duqm by offering direct connectivity with the rest of the world. It has the potential to handle half a million passengers annually in the current phase with scope for future expansions to handle two million passengers a year. Mustafa bin Mohammed al Hinai, CEO, Oman Aviation Group (OAG), said, “Fish from Al Wusta Governorate can be exported to rest of the world through Duqm and Muscat International Airport. He underlined the importance of this airport as Duqm Special Economic Zone has managed to attract investors, including in tourism projects, from countries like India, Japan and China.” Shaikh Ayman bin Ahmed al Hosani, CEO, Oman Airports, said the number of passengers using the Duqm Airport reached 57,000 at the end of 2018. He said the company is working on its marketing plan to attract airlines while Oman Air flies daily between Muscat and Duqm except on Fridays. The air cargo complex can handle 50,000 tonnes of freight per year, which could be increased in coordination with the Port of Duqm. 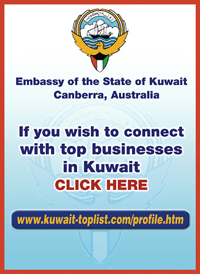 It can accommodate all types of aircraft, including Oman Air’s Boeing 787 Dreamliner. “With the work on major industrial projects, including the Duqm Refinery and the Chinese Industrial Corridor under way in full swing, there will be a need for direct connectivity from the city, instead of passenger traffic being routed through the Muscat and Salalah airports,” said the project manager of a leading contracting company. The airport occupies a total area of 27,386 square metres and has the potential to expand to 2 million passengers a year. The airport includes a passenger building with an area of 9,614 square metres. It also includes a 38-metre air traffic control tower, an air cargo terminal with a a capacity of 25,000 tonnes per year, 4 km long and 75 metres wide runway.